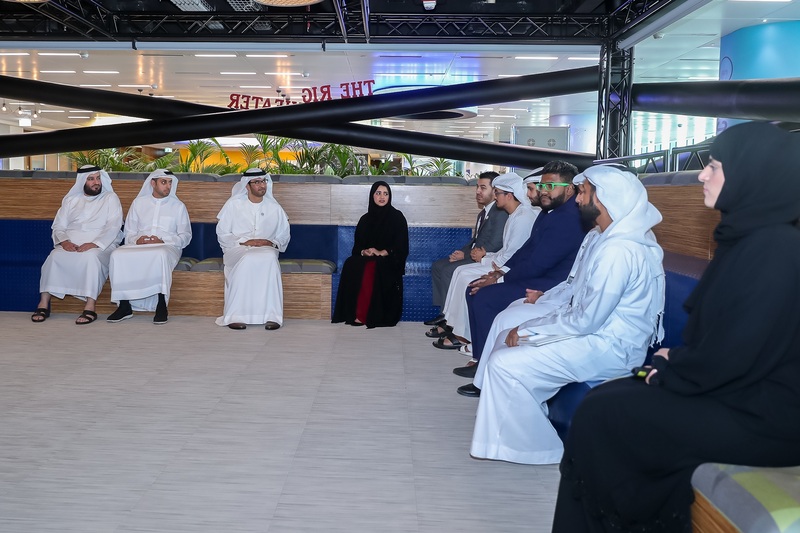 ABU DHABI, 28th October, 2018 (WAM) -- Dr. Sultan bin Ahmad Sultan Al Jaber, Minister of State, and Chairman of the National Media Council (NMC) on Sunday met with members of NMC’s Youth Media Council where he delivered one clear message, "The youth of the UAE are the country’s future". During the session, which was held to review the Youth Media Council’s achievements since it was formed seven months ago, Dr. Sultan Al Jaber reiterated that the wise leadership of the UAE has always placed a focus on youth, emphasising their pivotal role in contributing to the achievement of the UAE's current and future goals and its aspirations in progress and leadership. The Minister noted that the leadership always focused on youth and their pivotal role in contributing to the achievement of the UAE's current and future goals for progress and leadership, and achieving UAE 2021, which aims to make the UAE one of the most advanced countries in the world by its Golden Jubilee, which he said requires the active contribution of the youth and the harnessing of their skills, energy and enthusiasm. Inspired by the thought of leadership and the embodiment of its guidance, he pointed out that NMC has always placed the development of youth capacity as one of its top priorities, noting the importance of the Youth Media Council in delivering on NMC’s strategy for developing and promoting the local media sector to enable it to keep pace with the rapid changes being witnessed in the global media sector. Dr. Al Jaber stressed the importance of developing distinctive local content that meets the needs of all segments of society, especially children and adolescents, and which reflects the national values, principles and ideals inspired by the legacy of the late Sheikh Zayed bin Sultan Al Nahyan and the Founding Fathers. He also reiterated the importance of countering extremism and terrorism, pointing to the fundamental role played by the media – in particular social media - in confronting such phenomena that are alien to the values of UAE society. Also, during the meeting, the Minister listened to a presentation from members of the Youth Media Council. Commenting on their confidence and professionalism, he praised the Council’s achievements since it was established in March this years, pointing out that these successes confirm young people’s awareness of the roles required of them in the future. The NMC Chairman stated that the future programmes of the Youth Media Council should have an impact not only on the media sector, but on society in general. He noted that proliferation of youth councils operating across sectors in the country is one of the main drivers shaping the future of the state, with their formation a responsibility that the leadership has taken to give youth an essential voice in the country’s development. 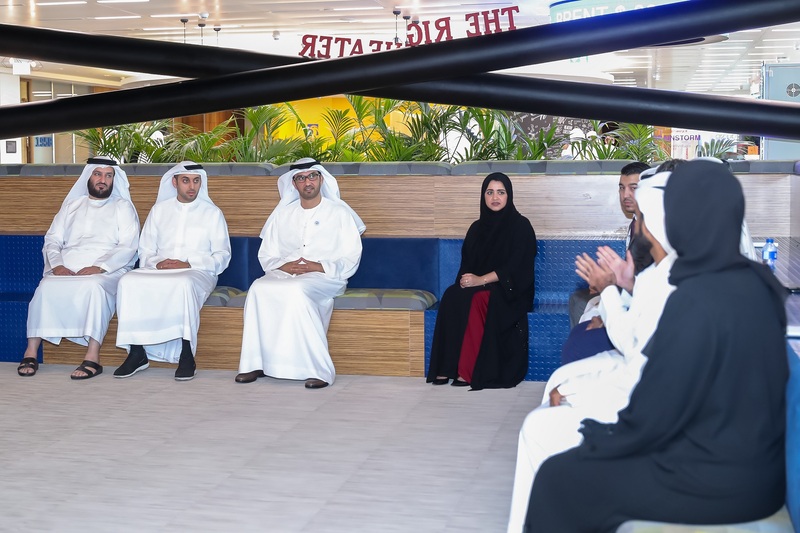 At the close of the meeting, Dr. Al Jaber vowed the continuation of NMC’s support of the Youth Media Council in all its initiatives and future projects, assuring them of his full confidence in their ability to undertake their responsibilities with great success.